True To Its Name – Annoyingly Boring? Went to the Sox last night with my sister. Sox won, was a nice night. Pre-game meal at this new burger joint just a block or so away from Fenway. Was a really good burger, but it took almost 15 minutes to get our food from a take away window. That’s too long. I agree that that’s too long. Maybe because a lot of people are ordering because of the game? But they should have anticipated it. A lot of food joints die that way. 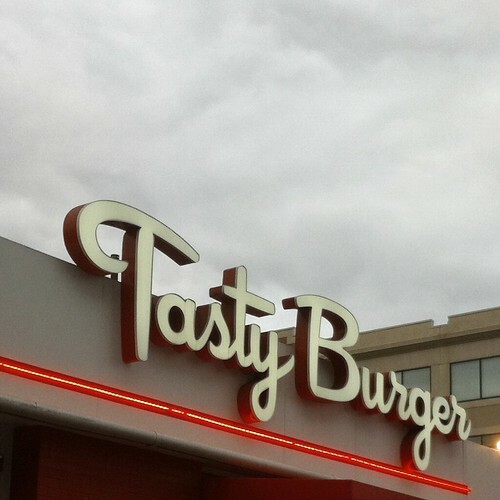 I’m checking out their site and the burgers look great. I wouldn’t mind waiting for 15 minutes for a Blue Collar. But that’s if I’m inside sitting on a booth while munching on some fries. Nice to seeing you posting again. Always a good night when the Sox win!